Snapbacks were made for the holidays. Get one you don't like? Rewrap that sucker and give it to your melon-headed cousin Vince. But we'll make things easier for you and save you some coin on shipping (not to mention explaining to Vince how to work the snaps): Here are 25 snapbacks you'll actually want. Throwbacks, current models, hockey, baseball, basketball, and football, they're all represented here. With Buy It Now links for each, you can have your dome covered like Chase Field in a heat wave. The best lids in the bid-ness? You bet. 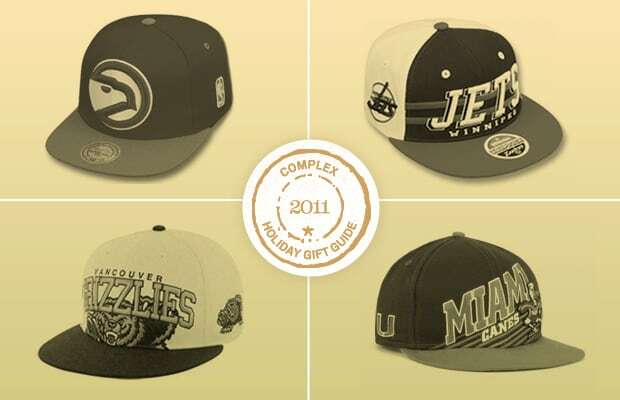 Here are 25 Sports Team Snapbacks We're Wishing For.